Buy Ebooks Directly from Me! I’m excited to launch a direct ebook sales availability on my website. If you go to “home” on this website and click any book cover, it will take you to that book’s page. From there, you can click any retailer button you choose to purchase the ebook or paperback. But, if you click the Paypal button, it will take you to a place where you can download the file in your preferred format (including a Kindle .mobi) without having to go through a retailer. MADELINE VISCOLLI meets JOE WESTCOTT during a campus ministry meeting as she begins graduate school in Alabama. Joe’s personal rule of not dating students starts to fade until he discovers Madeline’s destiny lay in running her father’s massive corporation. After rejecting wealth and all its trappings, Joe struggles against the attraction he feels for Madeline. Madeline knows she loves Joe, but is not willing to throw away her destiny of taking over the helm of Viscolli Enterprises. A Christmas Eve funeral washes all Joe’s plans away. Will their love succomb to the rising tide caused by their differences in lifestyles, or will raging seas calm and allow them to sail off into the sunset? 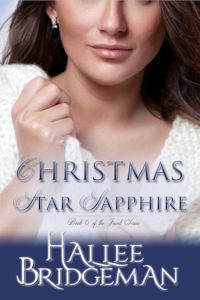 To get an autographed copy of Christmas Star Sapphire, order directly from Hallee at this link. MADELINE VISCOLLI finds herself on the Gulf shores of Alabama, where she takes part in a graduate program to earn her MBA. On her first day there, she meets JOE WESTCOTT, team leader for a campus ministry. Despite a mutual attraction, Joe’s personal rule of no romance with any student keeps any kind of deep relationship from developing. Joe has no desire to have a relationship with anyone, ever, anyway. He left a life of luxury and his family’s business behind to live alone on a sailboat and serve in ministry. Then Madeline walks into the auditorium the week school starts and Joe suspects his personal rules might not apply to this graduate student. That is, until he discovers Madeline is one of the Viscollis, and that her destiny lay in running her father’s massive corporation. 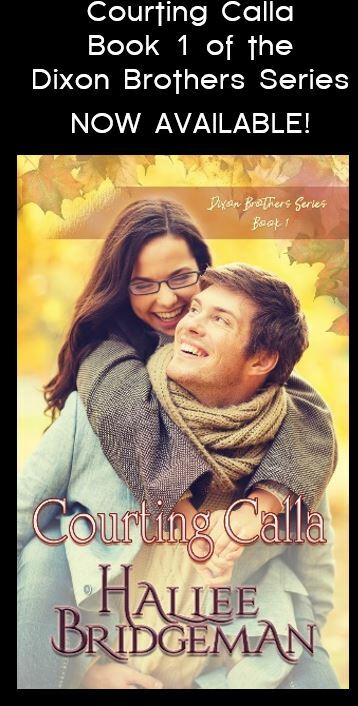 Having rejected wealth and all its trappings since childhood, Joe finds himself falling for the vivacious sapphire-eyed beauty. Madeline knows she loves Joe, but is not willing to throw away her destiny of taking over at the helm of Viscolli Enterprises. A Christmas Eve funeral washes all Joe’s plans away. Will their love succumb to the rising tide caused by their differences in lifestyles, or will raging seas calm and allow them to sail off into the sunset? When Madeline Viscolli arrived a few minutes late at the small auditorium on the east side of the University’s campus, she expected to see a few dozen people already there, but found only one lone man sitting on the floor with his back against the base of the raised stage. Frowning, she glanced at her watch. Surely on the campus of one of the largest universities in Alabama, the Cru program had more than one person involved. Once called Campus Crusade for Christ, Cru served on college campuses all over the world. Cru provided students with worship and fellowship opportunities in a body of believers – a family away from family. While an undergraduate at the University of Florida, she’d spent hours and hours with her Cru family, and grew into a deeper relationship with God than she’d ever even thought possible. She’d gone on four mission trips spanning a total of eight different countries, volunteered in summer programs, and had developed friendships she knew she would treasure for the rest of her life. Now, pursuing a Master’s degree in business, she found herself on the coast of Alabama hoping to integrate into a new Cru group. Never shy, Madeline walked into the nearly empty building and marched straight down the aisle. The man looked up from his book and smiled at her. He had light red hair and a goatee that looked nearly blond. As she drew closer, she recognized the logo on his T-shirt from her favorite seafood restaurant in Key West. “Doesn’t the meeting start at six?” Madeline frowned checking her watch. “Where you comin’ from, Miss Viscolli?” While he casually dropped the verb much like a native, his accent didn’t sound Deep South to her ear. It made his manner of speaking interesting. His warm smile made it even more interesting. Madeline shrugged. “Lots of little clues, I guess.” Plus, she could see him, in her mind’s eye, on the deck of a little catamaran, skimming the turquoise waves off the Florida Keys. Her family had a home down there, and she had spent her childhood living in either Boston or southern Florida. Sailboats were just a part of what she considered normal in life. He scooted off of the stage and held out his hand. Without hesitation, she placed her hand in his again. “It was truly a pleasure to meet you, Madeline Viscolli. I look forward to seeing you again very soon and I’ll be sure to email Chris Wilson and let him know I met you.” He held her hand throughout this tiny little monologue, then gave her fingers a gentle squeeze before he released her grasp. Did he hold her hand a heartbeat longer than necessary, or was that just her jet lagged brain slowing everything down? 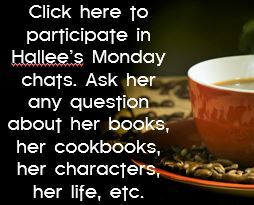 This entry was posted in Blog, Cookbooks, Novels and tagged direct sales, ebooks, PayPal, purchase ebooks. Bookmark the permalink.